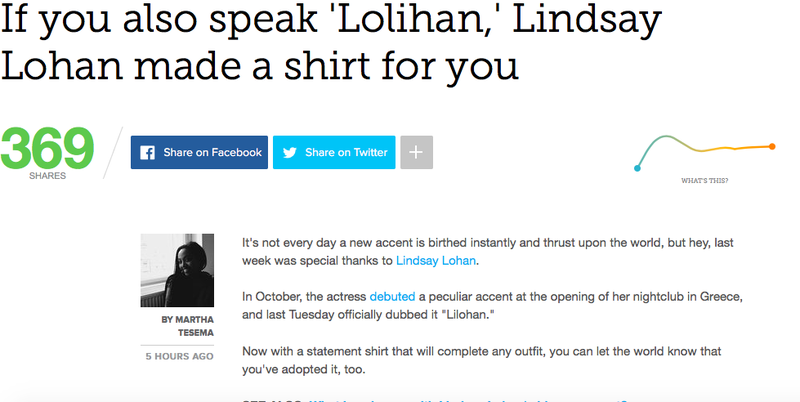 You too can speak "Lilohan" with Lindsay Lohan's first limited edition campaign on Represent benefiting Caudwell Children & AFAD. Lindsay Lohan, the actress and nightclub owner can now add apparel designer and philanthropist to her resume. 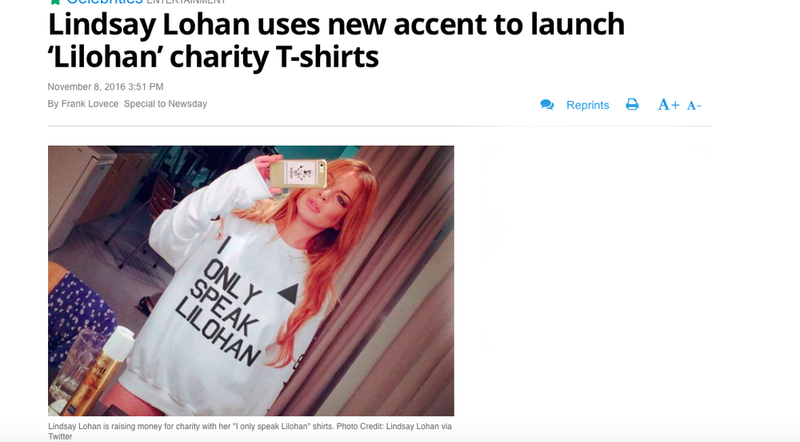 The campaign, I Only Speak Lilohan is a nod to the viral moment her new and mysterious accent is having on the internet and was a way for the young star to give back to two charities that have meant the world to her. “I wanted to turn a silly viral event into something positive for the world. I speak 'Lilohan' in order to voice support for AFAD and Caudwell Children; two charities incredibly close to my heart,” explained Lindsay. Now it's your turn to speak "Lilohan" and also give back to organizations that need your help! A portion of the proceeds from each shirt sold will benefit Caudwell Children and AFAD. International shipping is available. children across the UK. Caudwell Children charity acts as a safety net for families who are unable to gain the help they need. Turkey's disaster policy dates back to the aftermath of the 1939 Erzincan earthquake, which claimed nearly 33.000 lives and left at least 100.000 injured. Two decades later, the Turkish Parliament adopted the Law on Precautions to be Taken due to Disaster Affecting Public Life and Assistance to be Provided (No.7269) in order to fill the long-existing legal void. The legislative effort on disaster continued with the 1988 by-law on the Principles of the Organization and Planning of Emergency Assistance Regarding Disasters.